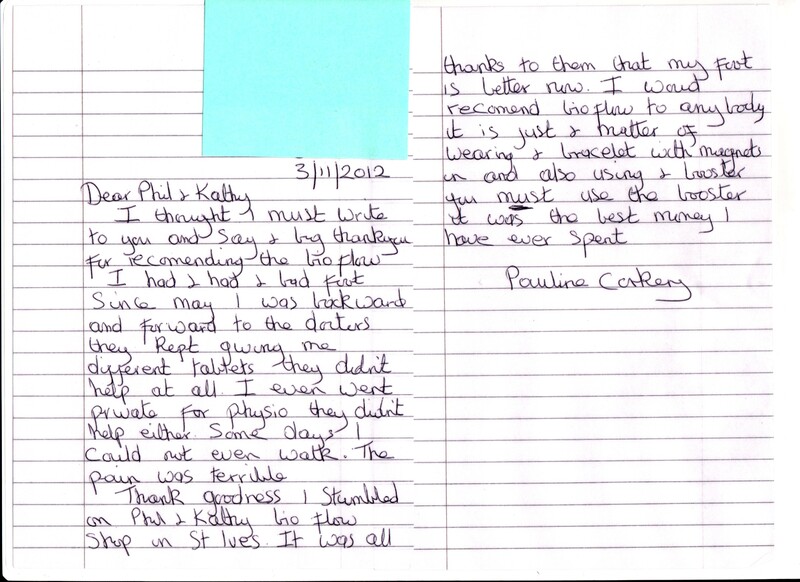 As mentioned we had three testimonials arrive at the shop, two for arthritis as published yesterday, and this excellent one from Pauline Corkery and her foot pain, which is now solved . Pauline used our products and now has no more pain. I really wish more people would just check us out at Changing Lives, wherever they live, then they would see other options available to them. Pauline tried all sorts of treatments from the doctor and a physio without success and was still in pain. Do you know someone in pain that needs our help? If so do them a favour and pass our details on to them. They won’t regret it. This entry was posted in Pain Relief and tagged foot pain, pain. Bookmark the permalink.